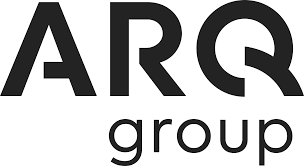 At Arq Group, our people solve complex challenges, and provide seamless, end-to-end solutions for businesses, big and small. We manage the data and web capabilities for Beyond Blue. We’ve developed Qantas’ inflight entertainment system. We support Domino’s cloud, managed services and security – and help you track your pizza. Our people help our clients deliver a solution that matters. We are Australia’s leading digital partner, unleashing the possibilities between business and people. What you get to do. In this role you will provide administrative support for the Delivery and Business Transformation teams. You will facilitate and organise people and activities to ensure governance is adhered to, that reporting is actioned by project leads and that internal document repositories and processes are maintained and accessible. This includes supporting project coordination and scheduling of initiatives. You are a passionate team player with excellent communication and interpersonal skills. You possess strong administrative skills with the ability to create rapport with stakeholders at all levels. Ideally you will have had experience in an Agile environment involved in supporting the delivery of impactful projects in a fast paced environment. You have a confident demeanour and diplomacy with the ability to liaise with people at all levels. You’ll have excellent report production and presentation production skills. Barista style coffee machines? Check. Brand new offices with a purpose-built wellness space? Check. Learning and talent programs to support YOU at every stage of your career. Check. A range of social activities from diversity driven events to board game nights and LAN parties. Check. We believe in culture contribution. Whatever your interests, we’ve got you covered. We’re a WORK180 endorsed employer for women, WGEA recognized as a pay equity employer and ‘Our Way’s continue to encourage a collaborative, inclusive, innovative and passionate approach to everything we do. Join us. Become an Arqadian and find your space to (change). - You have a confident demeanour and diplomacy with the ability to liaise with people at all levels. - You’ll have excellent report production and presentation production skills.